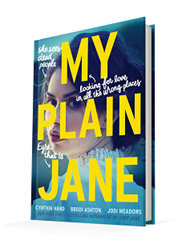 Published June 26, 2018, by HarperTeen My Plain Jane by Cynthia Hand, Jodi Meadows, Brodi Ashton is their second novel in their YA retelling series following historical figures by the name of Jane. The first book was great, and this one continues to create such a beautiful world for the readers. I’m going to break my own rules for this review a little bit and refer to myself in the first person or use the first person. I know I should not, but when I am so excited about a book it is so hard to separate myself from the review, so you are going to have to forgive me a little bit on that note. I do you think that these authors are probably some of my new favorite authors especially Cynthia Hand she is the only author whom I have had a chance to read other works from and so far I love her. Regardless of that fact, all these three authors come together effortlessly to tell a new story. My Plain Jane is a retelling of Jane Eyre by Charlotte Bronte and who does not love a good retelling. I have read Jane Eyre multiple times for school, and while I like it, there are cultural and societal flaws no longer accepted that make it unlikable. 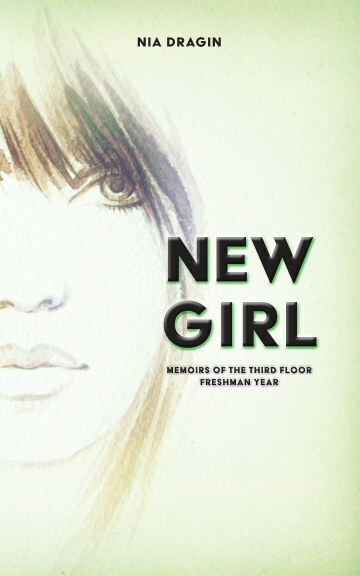 That is part of the charm of this novel because it cracks jokes at all those misogynistic points of views and, in a humorous way, criticize women’s fashion and women’s place in society. The way the authors put in those criticisms in with a phrase here or there are such small-scale scenes, and yet they have such weight to them. Not only that, but they also have so much energy to them that make both the scenes and the novel stand out. These authors excel at weaving in the subtle language to tell their stories and make their voices shine. Moreover, that is what makes it so great there’s such an energy to this novel that keeps the reader captivated. The fact that the authors can shine in the story is another part of what makes this such a good story. With the story going between three different perspectives, the authors need to make sure each perspective has their internal struggle and narrative, and make sure that they can be distinguishable from one another. Each voice is powerful, making the characters compelling, and that is important in a story such as this. These characters need to be able to stand out from one another so that the reader can see who is talking and be captivating by them. The fact that these three authors can come together and form a cohesive and uniform narrative is incredible. Their voices make the story vibrant and the way they manipulate historical details in almost minor ways, it somehow makes the story plausible, and thus riveting. Moreover, the added ghost element only serves to make the story unique in the world of YA novels. These writers show their hearts in the story; they stay true to their voices while they make sure that the story holds together. These characters are lovable and relatable, and their dynamics with one another, their character growth and internal narratives are flushed out that the reader cannot help but be captivated by them. That is how well the authors work together, and it also showcases how strong their talent it. There’s even a throwback to My Lady Jane which completely caught me by surprise and worked so well in the story. The novel is fun to read, and fun to listen to, and if I had a choice, I think I would recommend the audiobook to readers. The audiobook is so well and to hear the different voices come to life with such a vibrancy makes the story even more compelling than it already is. The story, the characters, the voices, and tone are all so spellbinding that it is hard to find a single fault in the novel. Retellings are tricky because there is a charm that made the original captivating that can’t be lost but considering the very modern tone that slips and critiques past etiquette adds to the charm of this retellings. It does not lose what made Jane Eyre special but instead takes that material and finds other ways to explore that charm for a modern audience. I’m even more excited for this book now! Great review 🙂 I loved “My Lady Jane” and “The Orphan Queen” by Jodi Meadows so this book is a must on my to-read list.